Windows 10 have better security then its previous versions. 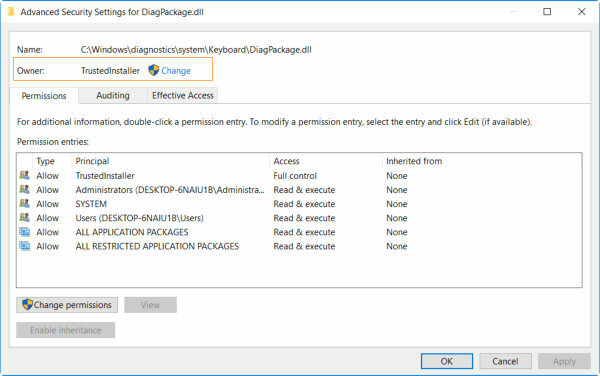 So sometimes it show a permission denied issue when you perform some action on a file. Most of the time it should be due to a file permission. So you need to assign appropriate permission to that file. And sometime you find that you can’t edit file permission or they are disabled. It is because you are not the owner of that file. 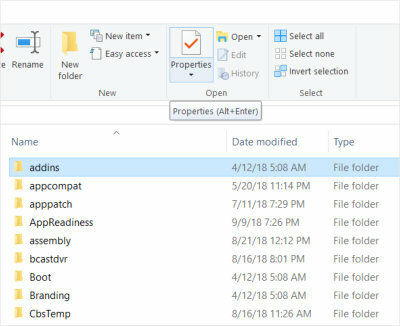 In this tutorial we will show you how you can change the ownership of a file or folder in Windows 10 using file explorer. It is also useful when you need a full access of other users file for any reason like a file from deleted user. Follow the steps below to change the owner. Right click on the file / folder and then click on properties. or Select the file and click on the properties tab in file explorer menu item or You can simply press the short cut Alt + Enter to bring up the properties window. 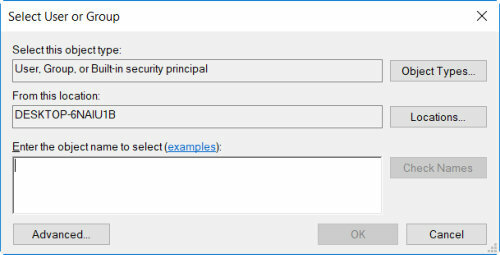 Properties window will look likes the below screenshot. Click on the Security tab on it. Now click on the Advanced button for advanced settings of the file permissions. It will bring up a window as like below. It show the current owner of the file on the second line after the file with Owner information. Next to current owner name there is a text button ‘Change’ will appear. Click on the change the change the owner. It will pop up another window to write / select the new owner. New owner already must be existed. You can validate the owner name by writing in the box ‘Enter the object name to select’ and then click on the ‘Check Names’ button. Click OK after entering the valid name. 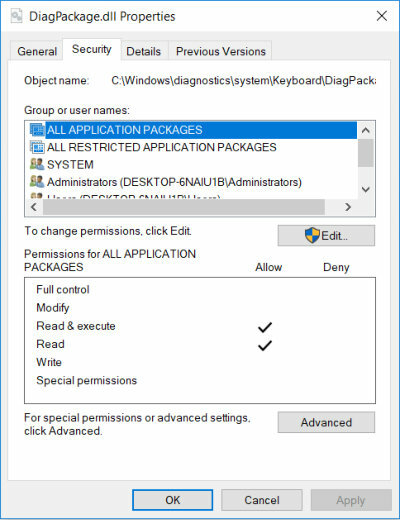 Hint: Type Users for the current user or Administrator for the Administrator user in the box. Click on OK button to close this window then another OK to close window under this. Now you will be able to Edit the permission of the file to perform the action on the file. Bring up the file properties windows by right clicking on the file / folder and and Clicking on properties from the menu. If you are performing the above procedure you should found it opened. Click on Security Tab and then click on the Edit button. Now you have the access to change the permission. You can change it to Full access and click on OK button. Its time to perform any action on the file as you are owner of the file with full control access. Please share your experience or ask anything in the comment box.